Meanwhile lets just say that we are proud TED contributed a whooping 2 entries. Here we list some of the best office desk and furniture suppliers in Birmingham, West Midlands, UK. 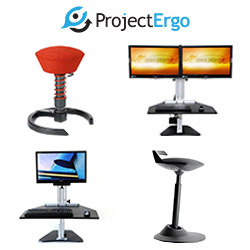 Specialist standing desk and ergonomic chair suppliers, Project Ergo, offer Kangaroo standing desk systems, Muvman stools and Swopper seating from German manufacturer, Aeris, and more. Specialists in ergonomic desks and seating, Project Ergo Ltd. Here at Office Desk, we'll aim to signpost the best workstations, desks and meeting room tables, plus great seating for comfort and good ergonomics.